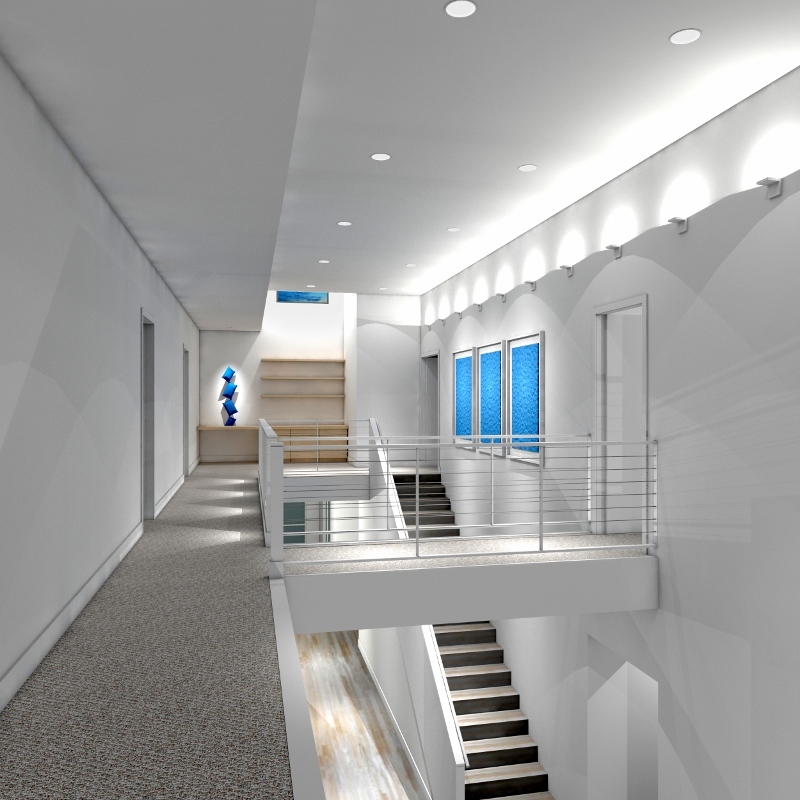 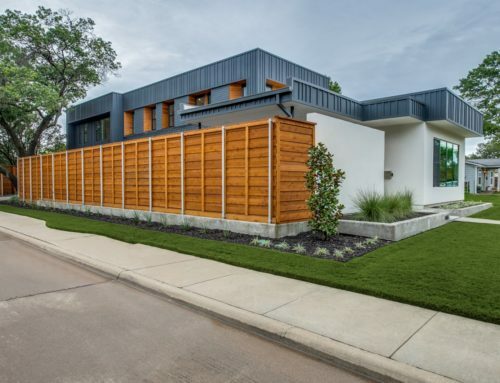 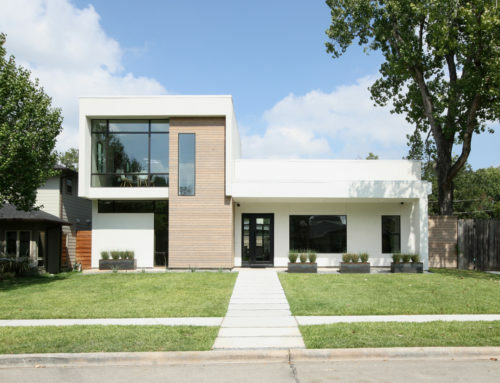 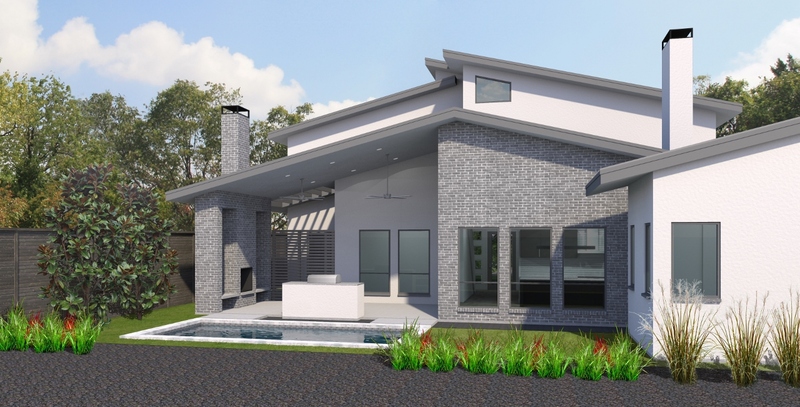 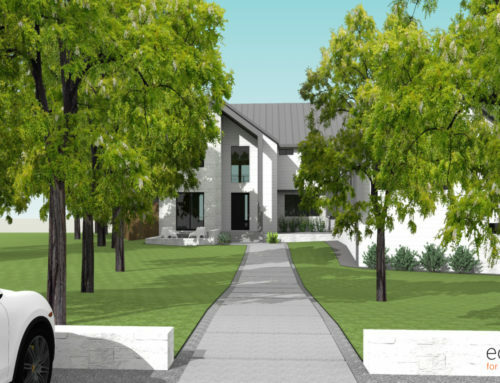 This west Dallas area 2-story spec home features dynamic volumes on the facade under modern shed roofs, and a dramatic double-height entry foyer with the staircase to the second floor. 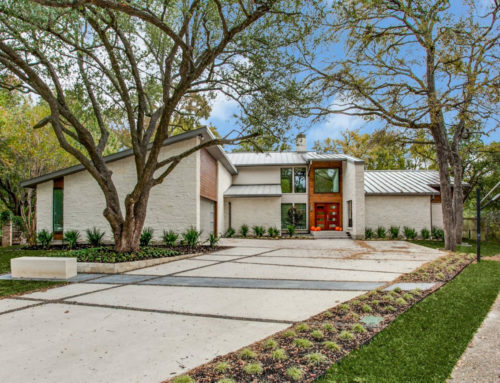 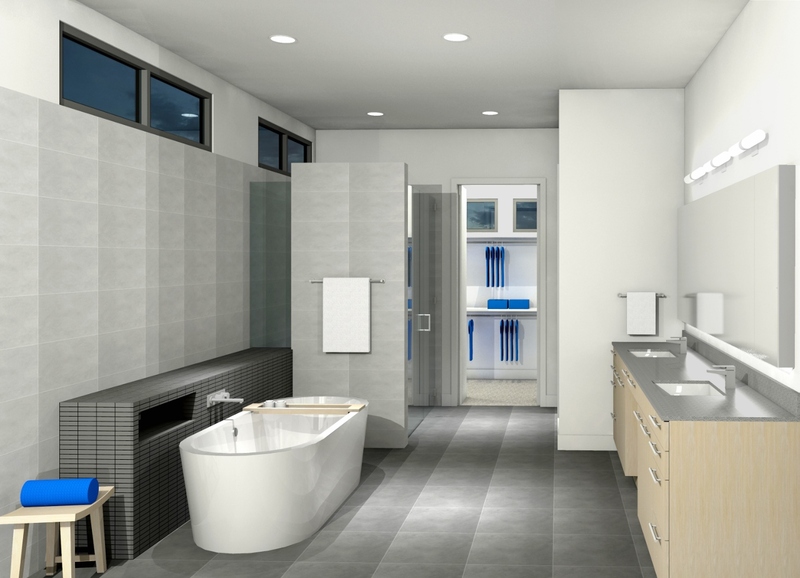 The ground level features a large master suite and a guest suite, the kitchen and living spaces, and a bonus [office] room tucked away in a private corner of the lot with a great view to the yard and water feature. 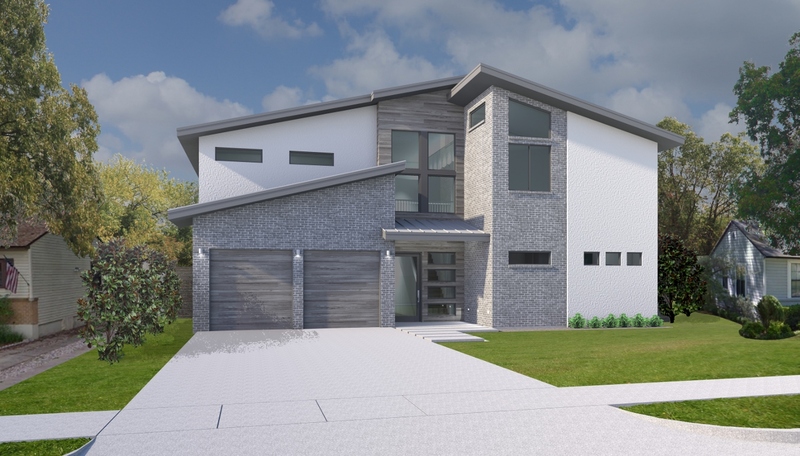 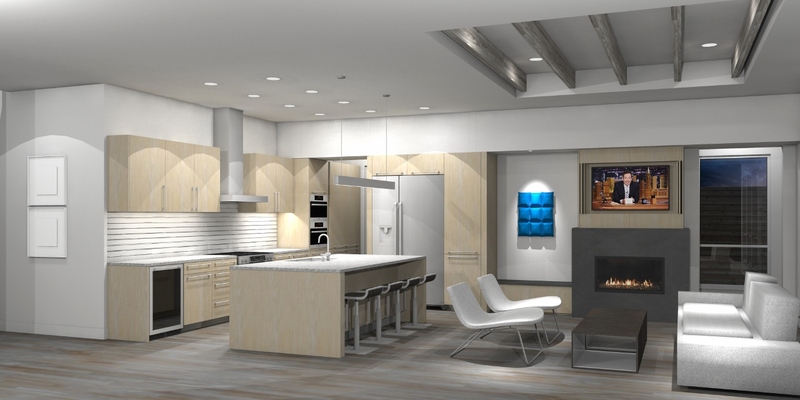 The second story contains two bedrooms, a study or library nook, and a media room and bonus room that allows for flexible use as a game room, second family room, etc.